I will send you a reply as soon as possible. I'm an award winning Art Director specializing in creative strategy, digital marketing, brand strategy, user experience, design and mentoring. Fully responsive second screen experience to cover the Scottish Referendum in Great Britain. Art directed by Serge Manoukian at Sky News. Watch the Sky News on-air promo showcasing our second screen experience, before the results of the Scottish independence referendum. 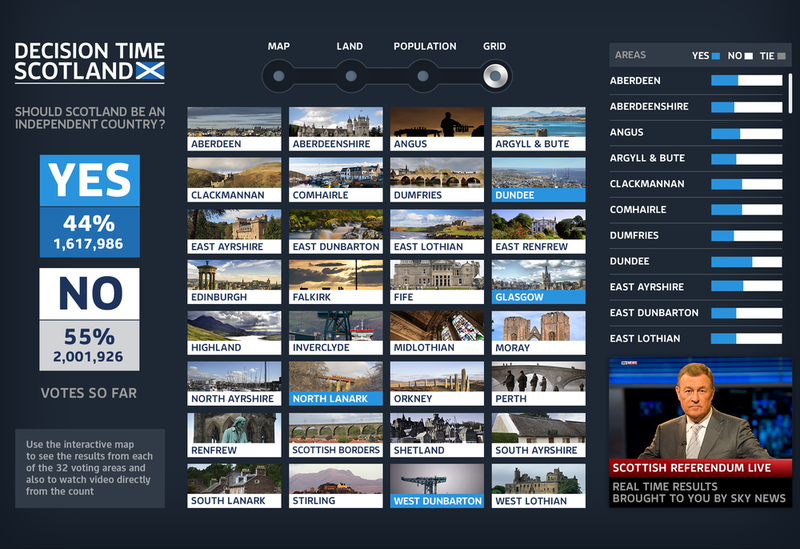 Decision Time Scotland is a fully responsive interactive console we've created at Sky News to cover the Scottish independence referendum. This HTML5 web-app was available on SkyNews.com, Sky News for iPhone and Sky News for iPad. I art directed and managed a team of two Digital Designers and two Developers, part of the Digital News Design studio at Sky News. 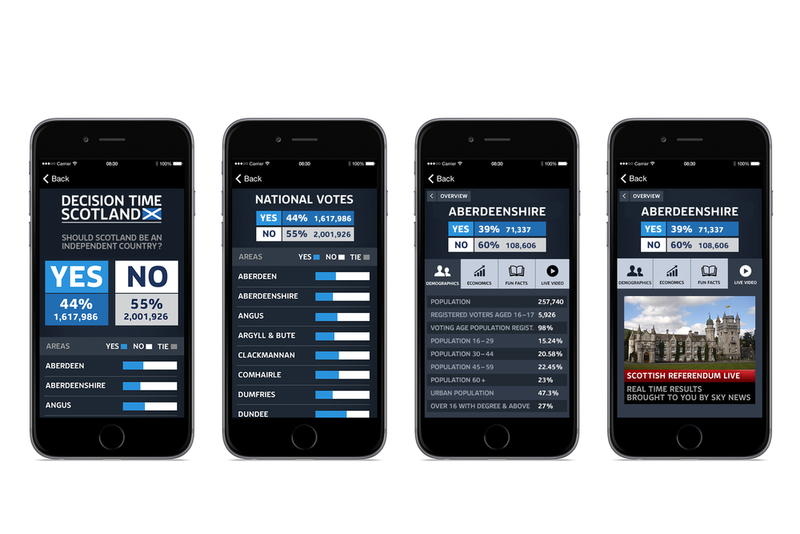 We delivered a custom second screen experience for smartphones, tablets and computers, allowing our viewers to explore the voting areas through interactive HTML5 infographics to get some contextual and background informations, and to see all the results of the Scottish independence referendum in real time, including live video feeds for each area. The video and pictures displayed in this case study are the property of Sky.